Detailed advice on writing papers, giving presentations, and refereeing, plus an essential guide to the basics of being a graduate student in economics. 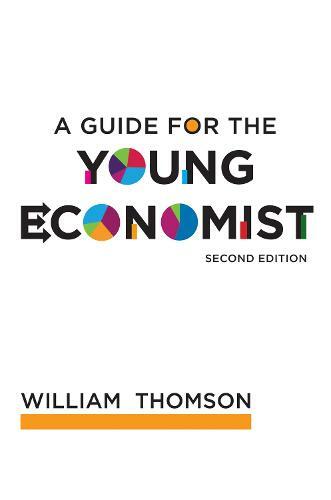 This book is an invaluable handbook for young economists working on their dissertations, preparing their first articles for submission to professional journals, getting ready for their first presentations at conferences and job seminars, or undertaking their first refereeing assignments. In clear, concise language-a model in itself-William Thomson describes how to make written and oral presentations both engaging and efficient. Declaring "I would certainly take up arms for clarity, simplicity, and unity," Thomson covers the basics of clear exposition, including such nuts-and-bolts topics as titling papers, writing abstracts, presenting research results, and holding an audience's attention. This second edition features a substantial new chapter, "Being a Graduate Student in Economics," that offers guidance on such essential topics as the manners and mores of graduate school life, financial support, selecting an advisor, and navigating the job market. The chapter on giving talks has been rewritten to reflect the widespread use of presentation software, and new material has been added to the chapter on writing papers.